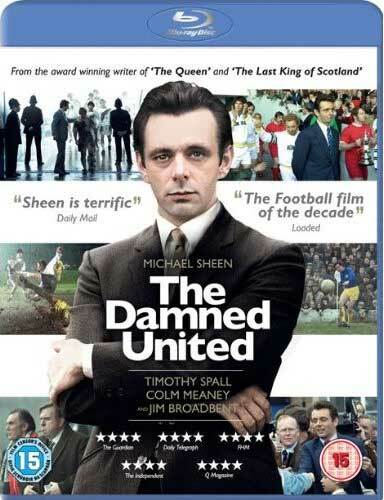 Michael Sheen (THE QUEEN, FROST/NIXON), in another of his seamless performances, plays legendary football manager Brian Clough during his disastrous and brief tenure as manager of Leeds UTD in the 1970s. Talented but abrasive, Clough alienates some of those around him, including his rival, Don Revie, his predecessor on Leeds UTD’s bench. When Clough has the chance to coach Leeds, he takes on the difficult role of the manager of the country’s best soccer team. But outspoken Clough strongly disagrees with the aggressive soccer style the team has become famous for, while he has to struggle, quite unsuccessfully, to gain the trust and cooperation of his players. Also starring Timothy Spall, Jim Broadbent, and Colm Meaney, the film is based on the critically acclaimed book by David Peace and adapted for the screen by Peter Morgan (THE QUEEN, THE LAST KING OF SCOTLAND).